We recently designed a report to the aviation community, “An Investment in Aviation Safety,” on behalf of our client Global Aerospace. 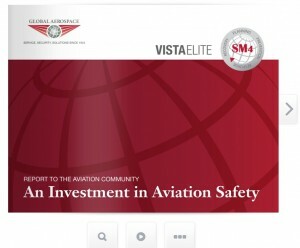 The report highlights Global Aerospace’s cumulative financial investment in aviation safety programs since 2010, which now totals more than USD $1.5 million. The company has long been the insurance industry leader in supporting aviation safety initiatives, many funded on behalf of its clients as well as for the aviation industry at large. In addition to the hard copy of the report, The Creative Alliance also prepared this easy-to-view flip book. Next Post: Are You Mobile Optimized?